Many of us have had the experience of trying what feels like every diet and workout regimen we come across, without losing weight. It’s easy at this point to get frustrated — to criticize yourself for supposedly not exercising enough, or taking too many cheat days. But a new study suggests that one of the factors at play here may be inflammation. Scientists at the University of Bonn have demonstrated that excess weight can practically be melted away through the process of converting white fat cells into brown cells, which consume energy. The study shows that brown cells have a very high number of mitochondria, which burn fat by converting it into thermal energy. So the higher the ratio of brown cells to white cells, the more fat you’re going to burn and the more weight you’ll lose. Indeed, the researchers have found that mice with higher numbers of brown cells burn more fat and lose more weight than those with higher numbers of white cells. The researchers say this is largely due to the role of cyclic guanosine monophosphate (cGMP), on which brown cells rely. Research suggests that sildenafil, the active ingredient in a drug used to treat hypertension, can reduce the number of white cells. This benefits the brown cells, accelerating the fat burning process and assisting with weight loss. However, that acceleration effect seems to grind to a halt when it comes to abdominal fat. The researchers fed mice a high-calorie diet. After the mice had gained weight, the scientists studied their fat tissue. What they noticed in the deeper-lying abdominal fat cells is that inflammation had occurred and spread as a result of the weight gain and that cGMP was at a standstill. 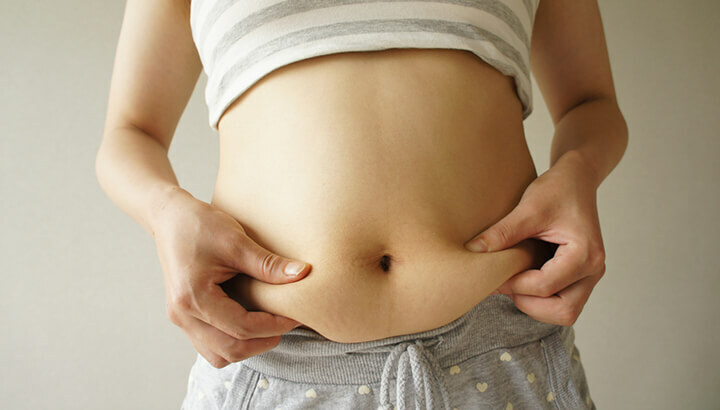 They did not see the same effect in fat cells in other areas of the body, leading them to the conclusion that abdominal fat is more dangerous because it causes inflammation in a way that other fat cells don’t. After studying human subcutaneous and abdominal fat cells, the researchers found similar results. 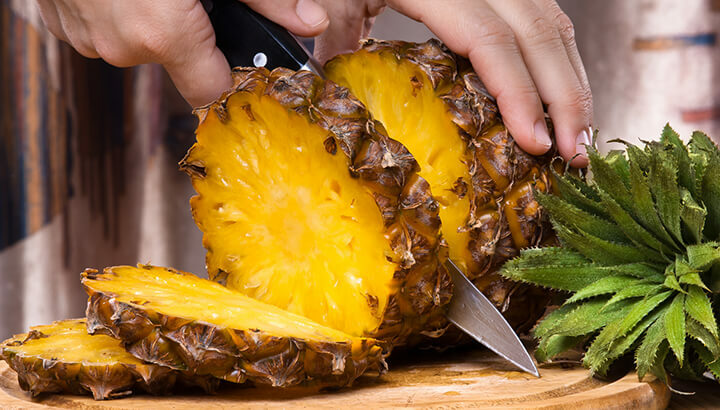 How can you naturally reduce inflammation? So the next question for the researchers was, what can be done to get rid of the inflammation so that cGMP can do its job and benefit the brown cells? This is what the scientists are currently working to understand. But while we wait for the results of this research to come in, a good place to start is to adopt an anti-inflammatory diet. This can have a wide range of health benefits beyond weight loss. For example, it can help to prevent heart disease, many forms of cancer and Alzheimer’s disease, as well as many other conditions. These are just a few of the foods that can contribute to an anti-inflammatory diet. Many whole foods — especially fruits and vegetables — have anti-inflammatory properties. So, it seems that if you’re hoping to alter your diet in a way that can help you to lose weight, cutting down in inflammatory foods may be one of the keys. And this makes sense, because many anti-inflammatory foods are also nutrient dense, meaning you won’t be consuming a lot of empty calories. They’re also whole foods, which means they don’t contain corn syrup, trans fat or other artificial ingredients that can contribute to weight gain, poor cardiovascular health and other conditions. It is interesting that, as nutritional science continues to progress, we’re finding more and more reasons for choosing a whole foods diet. The science on this particular question may still be out. But it’s not surprising that it’s beginning to look like a diet rich in healthy, anti-inflammatory foods may be one of the most important factors in supporting the fat-burning processes of brown cells and, in turn, shedding unwanted weight. Hey Buddy!, I found this information for you: "Study Says Inflammation Is Keeping You Fat". Here is the website link: https://www.thealternativedaily.com/study-links-inflammation-to-fat/. Thank you.